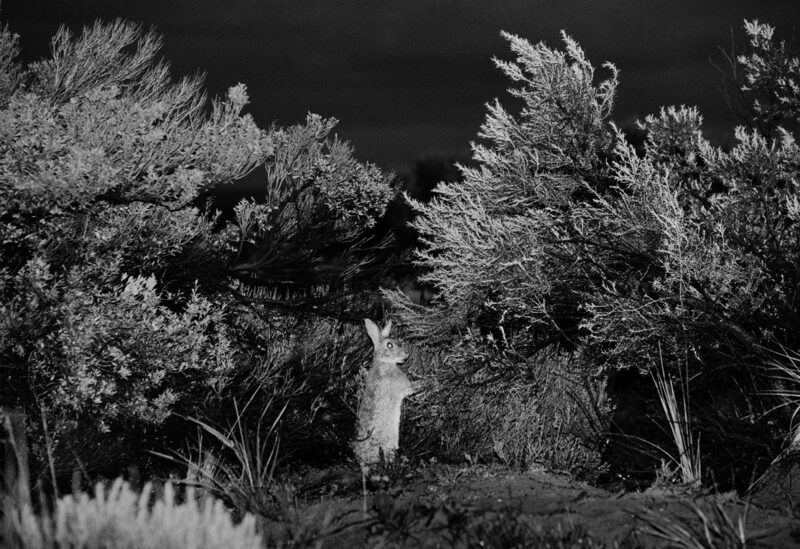 Image credit: Trent Parke, Rabbit, 2010, Archival Pigment Print, 120 x 175 cm (unframed). Image courtesy of the artist and Stills Gallery. 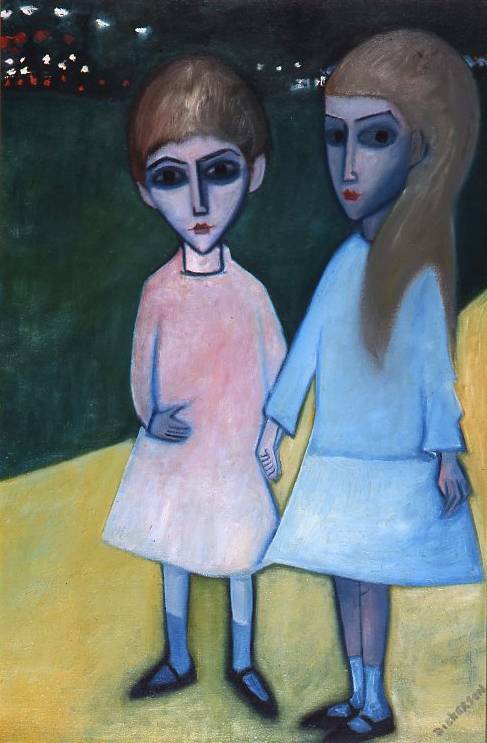 Image credit: Robert Henry Dickerson, Girls in the Gardens or Pink and Blue, oil on canvas on board, 1970, framed 103.5 x 73 x 4.4 cm. Image courtesy Dickerson Gallery and The Cbus Collection of Australian Art. Figures & Landscapes features a selection of photographs from LRG’s permanent collection paired with paintings from The Cbus Collection of Australian Art. Artists include Trent Parke, William McInnes, Neale Stratford, George Baldessin, Siri Hayes and Arthur Boyd. These pairings provide an opportunity for the viewer to explore narratives or symbolic meaning behind the works, allowing them to create their own thematic connections between figures, animals and landscapes. Figures & Landscapes is an opportunity to view both contemporary and traditional Australia art. Figures & Landscapes includes a large number of artworks from The Cbus Collection of Australian Art. This prestigious collection was advised by Dr Joseph Brown AO OBE, and Professor Bernard Smith, both major figures in the Australian art world. Cbus invested up to $2 million in Aboriginal, colonial and representative art of the twentieth century, and Latrobe Regional Gallery now manages this collection, helping it to continue to be accessible to the public. Figures & Landscapes also showcases newly-framed works from the Latrobe Regional Gallery Permanent Collection. These works are part of Latrobe Regional Gallery’s growing collection of contemporary art, and represents the continued commitment to developing and expanding the significant public collection, by collecting the works of artists working at the forefront of contemporary practice, both locally and nationally. 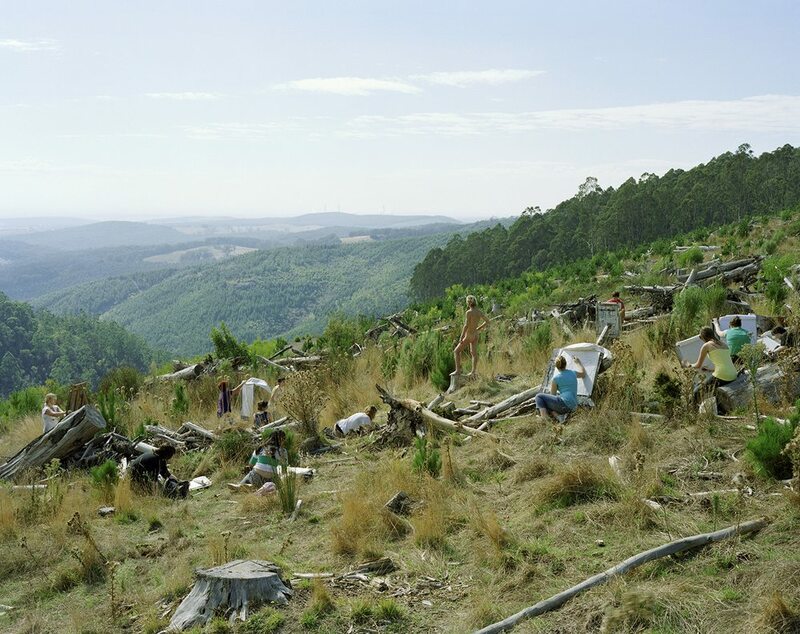 Image credit: Siri Hayes, Plein air explorers, 2008, C-type print, 127 x 107 cm. Copyright courtesy the artist. 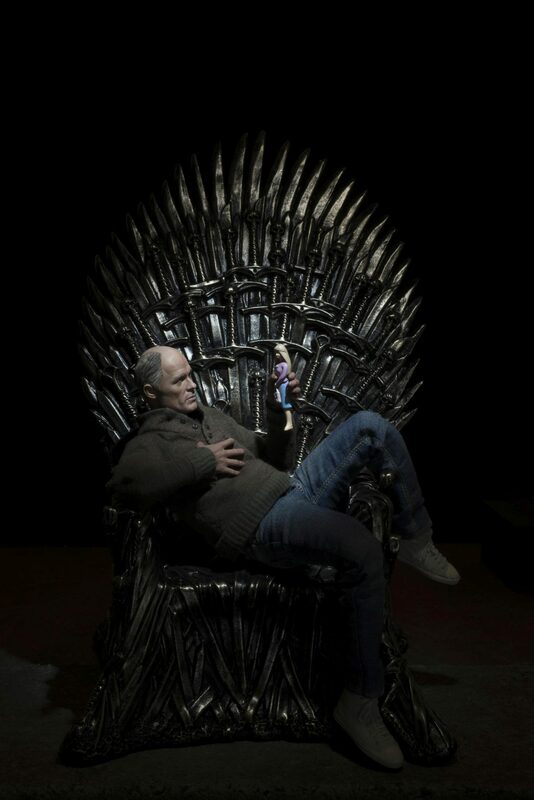 Image credit: Neale Stratford, The Deceit of Dolls, 2015, archival pigment print. Copyright courtesy the artist.